Can you imagine an effective leader without a car? Is it possible to manage a business without a steering wheel? Sure, but... thanks to your work with Colway International, you don’t have to imagine anything! We have a car programme tailor-made especially for you, which includes a wide range of brands – you choose the steering wheel, we add the rest! In the Colway International car programme, you'll find a selection of very well-equipped, economic cars that do well in urban conditions, as well as premium brands providing comfort and luxury on every kilometre of your journey. A luxury car adds prestige and builds credibility. You’ll also arouse interest in the environment, which is a great excuse to make new connections. With a car like that, your future success is only a matter of time. What conditions do you need to meet to join the programme? The first is to obtain (if you haven’t already), and maintain at least Leader rank for a minimum 3 of 4 full Qualifying Periods. Leader rank is not a huge challenge if you think seriously about the business. 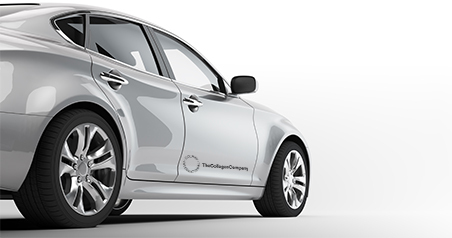 And if you do, and you’re determined to build a business with C.I., you’ll need a new car branded with our company logo. The second condition is to sign (on your own behalf and at your own risk and expense), a leasing agreement or a short- or long-term car rental agreement for one of the vehicles in our Car Programme. You’ll do this with a leasing company recommended by Colway International on special, advantageous terms negotiated by us. This process may be preceded by the leasing company performing its own internal credit check on you. The car needs to be branded with our logo. The condition for receiving a car repayment bonus from us for a higher rank is to maintain your higher rank. However, if you don’t maintain the higher rank, we’ll calculate your car repayment bonus from your lower rank. For example, if you don’t maintain Director rank, we’ll calculate your car payment bonus based on the Vice-Director rank. Car repayment bonuses are settled on a monthly basis, generally by the 5th day of each calendar month. We reserve the right to postpone the date of calculation of your car repayment bonus in a given calendar month, in the case of discrepancies between Qualifying Periods and the length of the calendar month. However, the individual Qualifying Periods cannot overlap when calculating the car repayment bonus. Car repayment bonuses are net figures, and will be paid based on a VAT invoice issued by the Partner (yourself). You need to maintain your paid rank to get a corresponding bonus. If you do not meet this requirement, you will receive a bonus according to your actual paid rank. Is the car bonus worth getting? - Agnieszka Chyćko and Henryk Lipa who collected the very first Colway International bonus BMW. Super hybrid, drives smoothly. My first impressions? Great. These moments are worth working for. This is a luxurious car brand, top class. Doesn’t it look feminine? – Grażyna Polańska talks about her first drive impressions in her Colway International branded Lexus. And you? When will YOU grab the wheel? 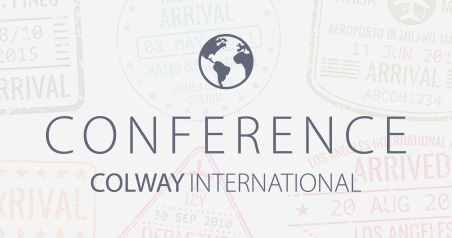 International Conferences Colway International is an award for activity that is waiting for the best ones. A few days stay in a luxury hotel abroad combines two benefits - the opportunity to expand your knowledge and acquire new skills during the training and leisure in a beautiful place and integration with other Partners of Colway International. Conference qualification period - approximately 40 qualifying weeks. Where did our International Conferences take place?